Since 2011, we’ve been selling Wavewalk® kayaks factory direct to clients in Australia through a service we dubbed ‘Australyak‘. We ship our clients’ orders regularly to the main ports in Australia: Brisbane, Sydney, Melbourne, Adelaide and Fremantle. Our Australian clients get all the technical and sales support they need directly from us by email and by phone, and they pay us by direct transfer (ACH) or by international check in US dollars. 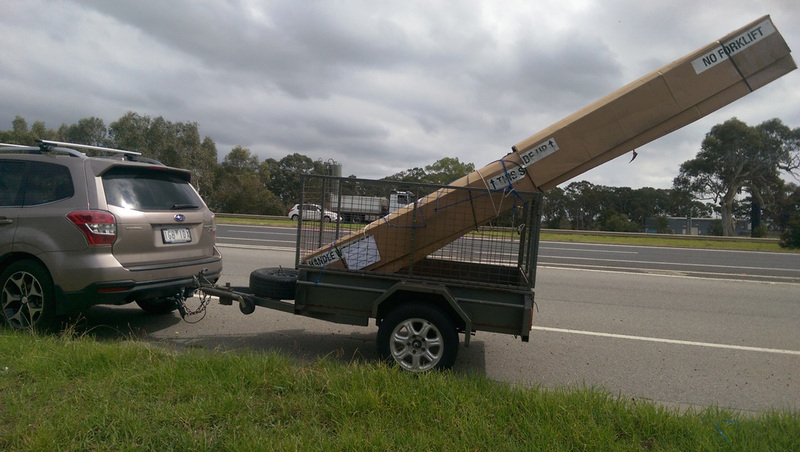 We charge our Australian clients $210 US in total including insurance for shipping their W500 from the US factory to a major Australian port, and and we charge $270 for doing the same for a W700. 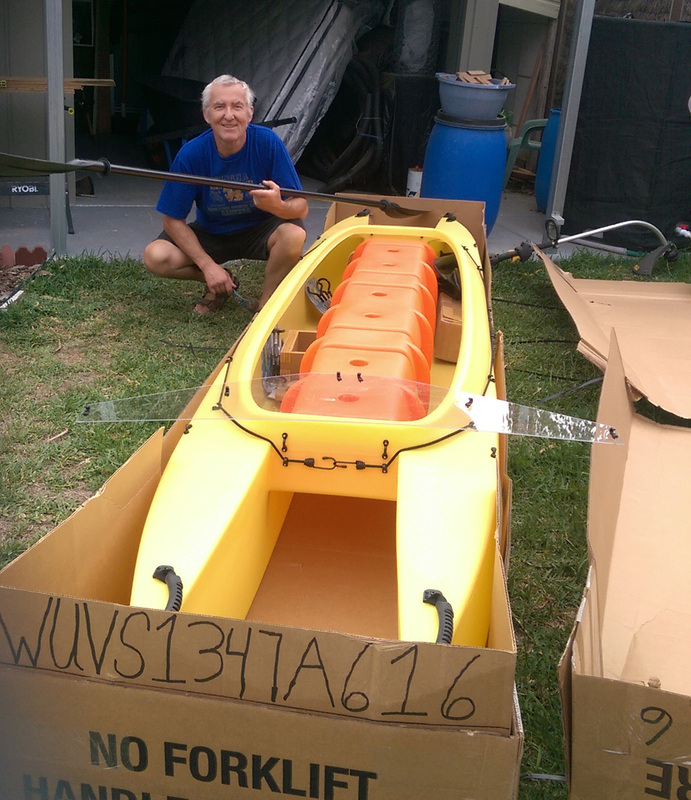 Once we know your address we can find the cheapest way to ship the kayak to you. 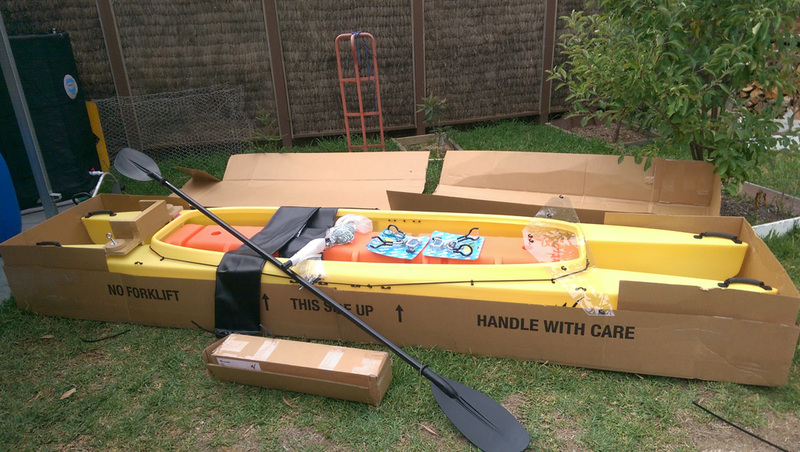 We ship each Wavewalk® kayak in a custom cardboard box, for maximum protection, and our shipments are insured. Typical transit time for such a shipment is 4 weeks, but it can take a couple of weeks more, depending on cutoff dates and other factors over which we have no control. 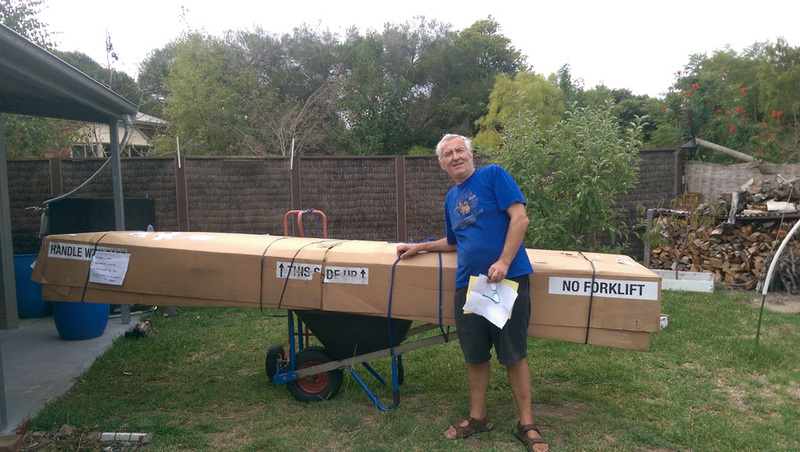 Once the boxed Wavewalk® kayak and accessories reach their Australian port of destination, the client has to take care of customs clearing and transportation from the port to their address. We provide our clients with all necessary documentation for customs. Australian duty on US made kayaks is minimal thanks to the Australia-USA Free Trade Agreement (AUSFTA), which dates back to 2004. However, our Australian clients are required to pay the Australian Goods and Services Tax (GST), like they do on all other products. Other local expenses that Australian clients need to be aware of are port taxes and fees which may vary from time to time and from one port to another, and storage fees if the client requires the box to be stored locally before picking it up. We can also ship to inland local freight terminals where the client would pickup their box. 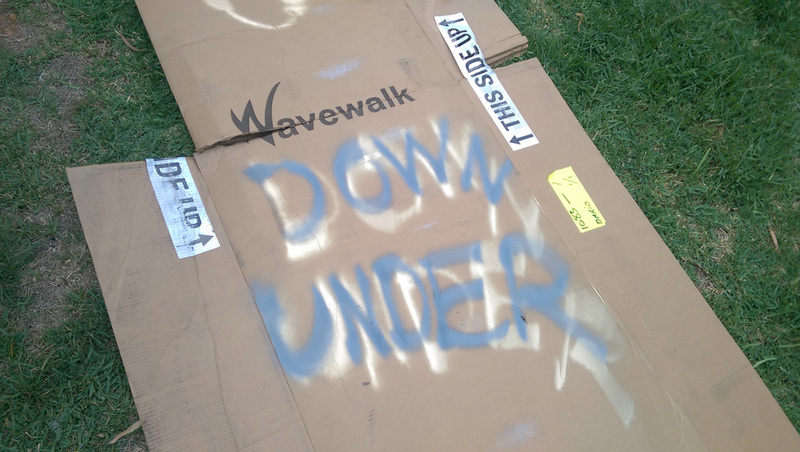 The actual cost of shipping a boxed Wavewalk™ kayak from the US factory to a main Australian port is between $450 and $550, depending on whether it’s a W500 or W700, and on the port of destination. However, we don’t have to charge the full cost of shipping to Australia since our kayaks are already priced with a local shipping component for our US customers. This figure rarely covers our own cost when we ship a single box to an end customer’s address in the continental US, but it does cover much of it. We use these funds to cover part of our cost of shipping to our Australian clients, so they don’t have to pay the full cost of shipping. My first attempt at surf kayaking – easy! David is a commercial airplane pilot with an eye for technical detail and safety. 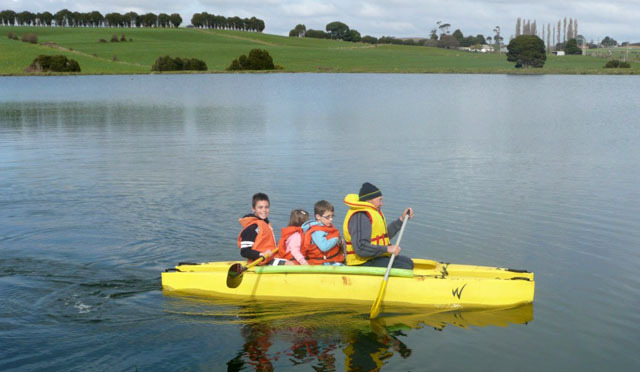 Both Dave and Svetlana recently rented a SOT kayak, but they thought they deserve something better, and tested the Wavewalk at Lake Eppalock just outside of Bendigo. What Dave first noticed was the stability and comfort that the W provided, and said: -“It is incredibly stable, even with both of us on it – we were even able to physically turn around and stand up. Not only was it stable and felt safe, given the height out of the water we were able to enjoy the views more readily”. David spoke about how Svetlana encountered a spider in the kayak but was able to manoeuvre quite easily to avoid it. This created an interesting moment with Dave saving the day! 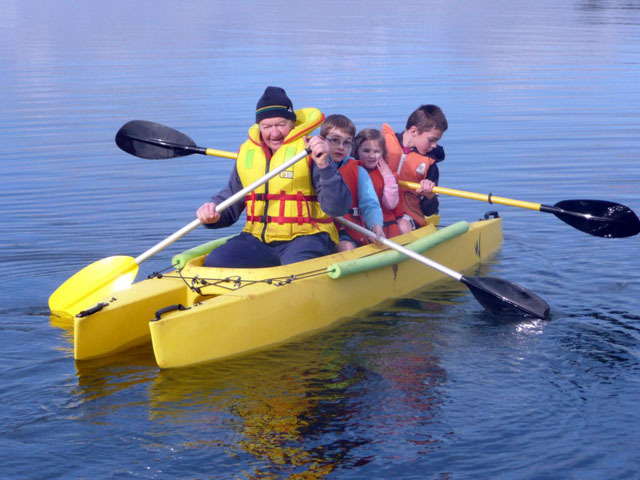 David commented that the W kayak “has excellent turning, and was easy to paddle which was aided by the longer paddle and the height out of the water. 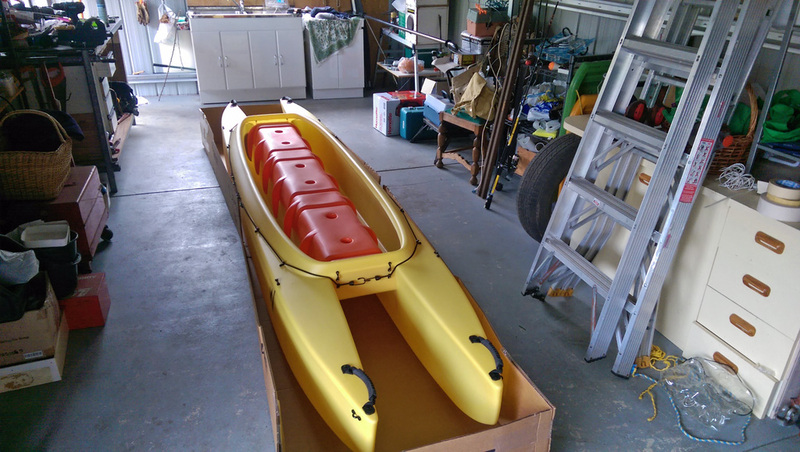 It moved a lot faster than the SOT, and felt so much easier to paddle” Both also loved the comfort and ergonomic design and are looking forward to their next W kayak adventure. Overall both gave the W kayak a Thumbs Up!